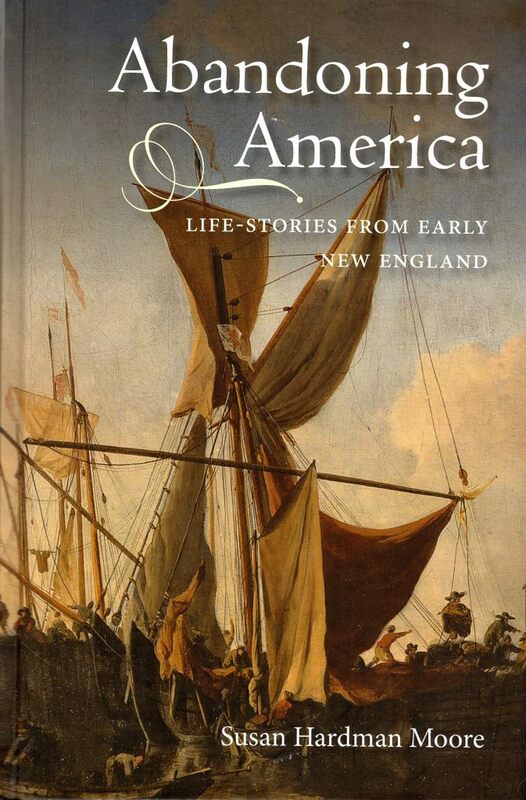 I have been reading Susan Hardman Moore’s work, Abandoning America: Life-Stories from Early New England, as part of a crash course in early New England history, because I keep getting invited to speak on the topic. The more I delve into this very complicated period of history, the more I need to learn. Of particular value to me has been Moore’s 27-page introduction, which discusses the conditions that drew people out of England and then brought them back. She presents short biographies of individuals and families who, after migrating to New England between 1620 and 1640, returned to England between 1640 and the restoration of Charles II in 1660. Active travel back and forth across the Atlantic during this period is something that we New England descendants don’t often think about, but some individuals did make frequent trips to England for business or political reasons. Some came back permanently to New England, some brought their families to England with them, some left them behind with the idea of later joining them, and some simply deserted. A few who died in England might have intended to go back, but did not have the chance. Many of the returnees were integrated into the new Puritan church, government, and military; then, upon the restoration of Charles II, a few went back to the colonies again. While we may not have ancestors who returned to England, understanding the world they lived in gives us more knowledge about the lives of our ancestors who stayed put. 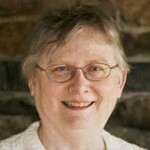 Published by Boydell Press in Woodbridge, Suffolk, England, in 2013; she is also the author of Pilgrims: New World Settlers and the Call of Home (New Haven, Conn., and London: Yale University Press, 2007). If you are a member of the Massachusetts Society of Mayflower Descendants, my next engagement will be at their annual meeting in May. Very interesting. At boarding school I knew a Saltonstall and the Saltonstall State Office Building in Boston sits on land where my great, great grandfather lived. And later several ancestors returned to England because they disagreed with the pending revolution. Howland, Indeed the Saltonstall name thrived in New England! Thankfully for those descendants, Nathaniel Saltonstall did not take after either his father or grandfather. A nice book you might look into is “The Descendants of Dr. Nathaniel Saltonstall of Haverhill, Massachusetts” by Scott C. Steward. You might find your friend from boarding school in it. Putting this book on my reading list! This is a topic that has interested me since reading David Cressy’s Coming Over sometime back in the 1990s. Brooke, good, and also her other book, too. I haven’t read that one yet, but it is on the list. 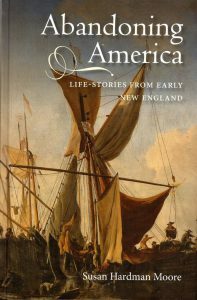 I wonder if you might give a brief list of books that would be the core of “a crash course in early New England history”. I’m a late comer to genealogy with roots in the Ide family of Rehoboth and the Guild family of Dedham. A deeper knowledge and understanding of early New England history would be of no little assistance to me and, I imagine, to other amateurs in the early ages of the craft. Hi Robert, that sounds like a good blog post. I will see what I can come up with. Alicia, another book that might be of interest is Susan Hardman Moore’s Pilgrims: New World Settlers & the Call of Home. Eileen, yes. I hid it in the footnote. Haven’t started to read yet, but it is on the coffee table. Alicia, thank you for noting this book. I tend to stumble across things only when someone sets them right in front of me. One of the key questions I have is “Why?” , and I read a lot of regional and local history trying to grasp the larger social/economic/political factors my ancestors dealt with. Yesterday I read through a series of old Pennsylvania newspapers, and was fascinated by history as it unfolded from the perspective of people living then. Though the newspapers did not mention anyone from my line, I gained a great deal of insight into the context of their lives. And today, thanks to you, I ordered both of Susan Hardman Moore’s books, and along the way found a used copy of David Cressy’s “Coming Over” cheap enough I could afford it. I think I’m set up for the unpredictable days of spring.